Multiple treatment options—from drugs like enzyme supplements to lifestyle changes—are available to soothe pancreatitis, a painful inflammation of the pancreas. Your pancreas rests below and behind the stomach and has a dual role: producing enzymes to aid digestion and insulin to regulate blood sugar. Pancreatitis can be either short-lived (acute) or long lasting (chronic). While chronic pancreatitis tends to be more serious, either type can cause dangerous complications. Excessive alcohol is known to cause pancreatitis. Or a gallstone from the gallbladder may lodge in the bile duct in such a way that it blocks the pancreatic duct, trapping digestive enzymes inside. 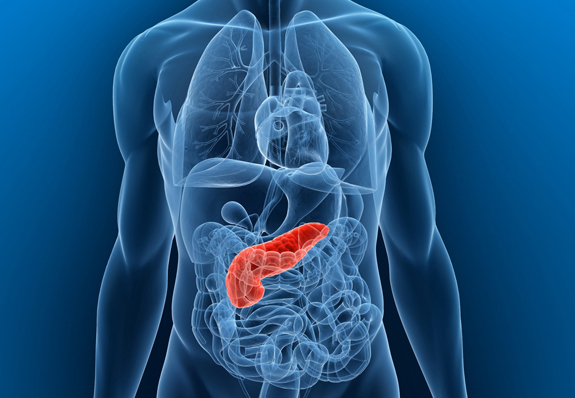 The enzymes may begin to digest pancreatic tissue, leading to inflammation. In addition to gallstones and alcohol, acute pancreatitis can also result from certain types of prescription drugs. Corticosteroids (anti-inflammatory drugs), thiazide diuretics (for high blood pressure) and azathioprine (to prevent kidney rejection post transplant and to treat inflammatory bowel disease) can cause pancreatitis. Smoking increases the risk for both acute and chronic pancreatitis, as does excess abdominal fat. Symptoms of acute pancreatitis include pain in the upper abdomen that comes on gradually or suddenly and lasts a few days. The pain may radiate to the back. Sometimes pain worsens after eating. Other symptoms are nausea, vomiting, fever, and rapid pulse. Severe cases may impact the heart, lungs, or kidneys. With a chronic condition, symptoms include nausea, vomiting, weight loss, and greasy or oily stools. Diagnosis of acute pancreatitis requires testing blood for the digestive enzymes amylase and lipase. In patients with acute pancreatitis, extremely high numbers of these enzymes appear in the blood. The doctor may also perform an abdominal ultrasound or a CT scan. These can help detect whether the cause is gallstones, rather than pancreatitis. 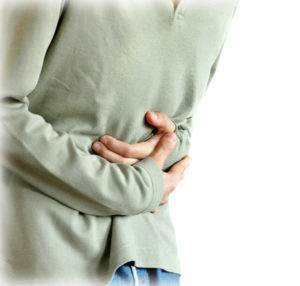 Pancreatitis is often treated with fasting for several days to rest the pancreas. Intravenous nourishment may be necessary if pancreatitis persists. Sometimes an extended hospital stay is required. If alcohol is the cause, the patient must completely abstain from alcohol. If gallstones are the source, the gallbladder may need to be removed. In chronic pancreatitis, the inflammation persists and does not resolve on its own. Some people have a hereditary form of chronic pancreatitis, which can begin in childhood but not be detected until many years later. People with two or more family members who have pancreatitis are at increased risk. The chronic form can so damage the pancreas that the patient may develop diabetes. Treating acute, painful episodes of chronic pancreatitis is similar to treating acute pancreatitis. Medications will be used to relieve the pain. A nerve block of the main nerve plexus behind the pancreas is useful for relieving pain. Complete abstention from alcohol and a special diet are required to prevent the painful episodes. alcohol, anti inflammatory, anti inflammatory drugs, blood pressure, bowel disease, corticosteroids, diabetes, diet, digestive, digestive enzymes, for high blood pressure, gallbladder, gallstone, gallstones, high blood pressure, high blood pressure and, inflammation, inflammatory bowel, inflammatory bowel disease, nerve block, pain, Pancreas, Pancreatitis, smoking, the gallbladder, thiazide, thiazide diuretics.